So, how goes the sport, SMC team??? Or should I say, the training? When they said memorizing Scripture was a discipline, they weren’t kidding, eh? (Who really has time or brain power left over, after the daily workout of life?) But I’m excited–for you, and for me…Because you don’t have to be an athlete (Phew!) to know that there’s strength, development and exhilaration in the deal as well! If you have any learning tips, please send them my way! Better yet, post them! Use your verse as your wallpaper on your phone home screen. Ingenious! 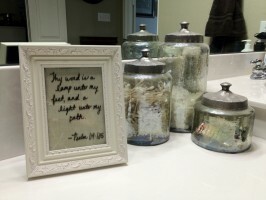 Find a creative way to post your verse close to the bathroom/bedroom mirror, where you mindlessly primp and floss in the morning and evening. Find a group to team up with…With elementary-aged kids, we often have them go around the room, each child saying the next word of a verse. Recruit your family’s help, and go ’round the dinner table every night! Say it, say it, say it…Or, if the process of speaking actually messes you up–auditory learners often avoid speaking aloud while they’re trying to process something they’re hearing–record your own voice on your phone. Play it back as often as you dare! Or consider using a recording of your verse as your ringtone! Join the Scripture Memory Challenge–even if you’re not on a Westheights Kids Team…It’s never too late! As a way of nudging each other on, post your verse, or verses, in the Comment Section below. 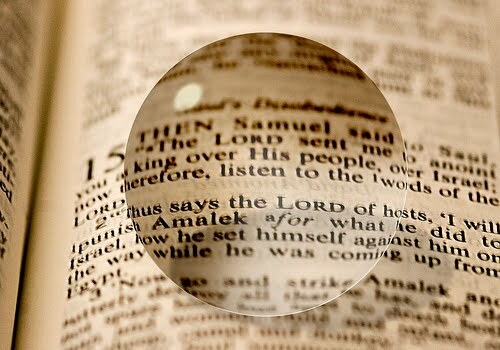 Include your name (if you’d like) your verse, the reference and translation. (See the format I used above.) During Immerse, you’ll see a blog entry every 2 weeks, instead of monthly. For more info on the what and why of this adventure, click here.